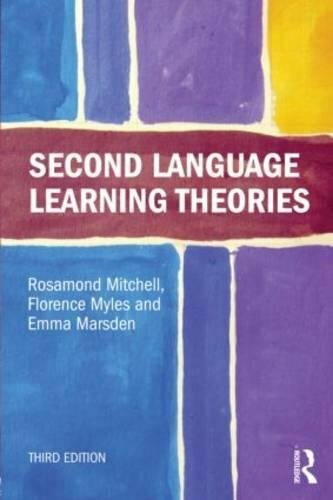 This is the first of two posts summarising Chapter 6 of the book Second Language Learning Theories, by Mitchell, Myles and Marsden (Routledge, 3rd edition, 2013). The authors begin by reminding us of the obvious fact using a second language is beneficial for learning it. Yet some people who are exposed for many years to a second language still make mistakes when using it. In the late 1970s Krashen hypothesised that receiving comprehensible input is all you need to acquire a language (the “Input Hypothesis”). Subsequently in the 1980s Michael Long, while accepting Stephen Krashen’s basic premiss and the existence of a “language acquisition device” in the brain (Chomsky), turned the focus towards interaction (the “Interaction Hypothesis”) suggesting that input alone is not enough and that interaction with the input is needed to learn. Long argued that for learners to obtain input and repetition at the right level they need to take part in conversation. His early research indicated that during game-playing and conversation learners “negotiate meaning”, make clarification and confirmation requests, thus refining the input. In short, interaction makes the input more useful for acquisition. More recent research from the 1990s has delved further into the role of interaction, focusing less on Krashen’s “black box” Language Acquisition Device and more on the latest findings from cognitive and language processing theory. Some of this research has focused on the use of recasts and prompts during interaction. If we step back a moment to the 1980s, complementing Long’s work Merrill Swain developed the “Output Hypothesis” (yes, second language acquisition research has many hypotheses!). Swain argued that learners’ own speech played a role in promoting noticing and intake of new language. We’ll return to this in Part 2. We should understand from the last part of that quotation that Long believes some aspects of a language need particular attention and feedback, e.g. correction, to be mastered. Long’s hypothesis bears in mind the mental processes involved in getting INPUT to become INTAKE. These include the use of selective attention and L2 processing capacity. Mackey (1999) carried out a study to find out if interaction would boost the knowledge of question forms on English as a second language. The low-intermediate adult learners did a range of information gap tasks which required them to ask questions. Some participants in the study had the opportunity to interact with the teacher while were not. His results indicated that the “interactors” progressed with question formation while the others didn’t. Other studies have confirmed that interaction assists with the acquisition of specific aspects of language. The role of feedback on learners’ errors has long been a focus of research, even before the interest in interactionist theory. Those who support the Universal Grammar view of things, e.g. Krashen, argue that correction plays an unimportant role. Learners develop proficiency and accuracy through input. However Long (1996) argues that negative feedback can be useful to learners. By this he means that feedback involving reformulation of the learner’s own intended utterances can help the learner notice the gaps between their performance and the correct version. For example, learners may become aware when there are differences between the L1 and L2 structure. Separately, researchers who see second language learning as a form of skill acquisition (i.e. language learning is like the learning of any complex skill), believe feedback helps with the establishment and proceduralisation of declarative knowledge. In other words correction can help with the automatisation of linguistic skill. Research on types of error correction, e.g. recasts and explicit correction have produced mixed results. In general the research suggests that corrective feedback tends to be useful, but that no particular type has been shown to be better than others. The authors note, by the way, that recasts can be seen not so much as corrective feedback but just another source of correct input, depending on how much attention the learner is paying. Recasts can be seen therefore as positive reinforcement. In contrast, prompts of explicit correction may be less ambiguous and therefore moe useful to learners. Long, M. H. (1996). The role of linguistic environment in second language acquisition. In Ritchie and Bhatia (eds.) 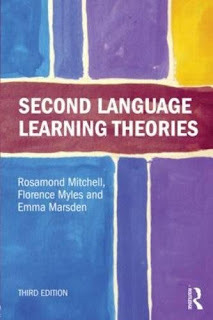 Handbook of second language acquisition. San Diego: Academic Press. Mackey, A. (1999). Input, interaction and second language development: an empirical study of question formation in ESL. Studies in Second Language Acquisition. Mitchell, R., Myles, F. and Marsden, E. (2013). Second Language Learning Theories. Oxford: Routledge.